The physical restrictions that occur with aging can lead to problems with mobility. This problem is related to unsteadiness while walking, difficulty in getting in and out of a chair or falling off. Muscle weakness, injury or surgery, pain, disease and other medical conditions all contribute to mobility issues. If you have mobility issues of any kind, whether caused by an injury, by a specific medical condition or simply by advancing age, investing in the right kind of lift chair could be one of the best choices you will make. There are various reasons why people who own these items are always delighted to express their wonderful experience of purchase, and here in this post we will look in detail the usefulness and attractiveness of a lift chair. Whenever we purchase anything like sofa or chair, comfort is always on our top priority list. The same thing applies when it comes to lift chairs; in fact, assuring ultimate comfort and total relaxation should be the one and the only major consideration for most who are planning to get one for them or fort their loved ones. 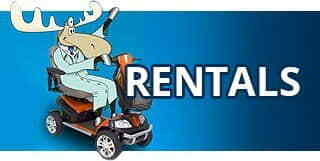 When you search websites that supplies or manufactures mobility assistance devices, you can expect some good quality reclining or lift chairs from them. 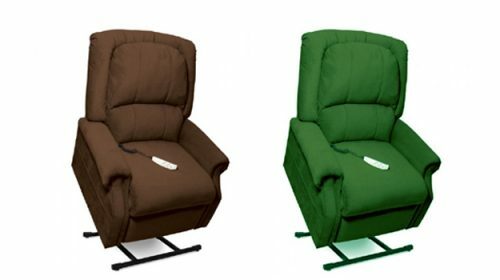 At Affordable Medical Equipment, you can find a range of high quality and comfortable lift chairs made with memory foam and sprung seating, which can only add excellence in terms of increasing the comfort of people living with a wide range of physical conditions. It is difficult for those who have mobility issues to understand just how frustrating it can be to sit down in your own room and unable to get up from chair or move freely. After all, this is surely one of the situations in which everyone should feel relaxed and comfortable. Fortunately, lift chairs offer a support to anyone who is struggling hard while using their existing chair. The most struggling part about losing one’s ability to move freely can be the pain, discomfort and the extra time and effort that typically accompanies while standing and sitting. The use of lift chairs can help to eliminate this difficult problem entirely, with their unique design and feature enabling the user to set themselves up from a sitting position right at the touch of a button. It’s is so easy and effortless! By gradually bending forward into a comfortable position that you choose with the handheld device, your lift chairs will let you get up from your seat with a less and minimal effort. Thus, you no longer need to put any stress or hurt your knees, thighs or back to make a move that may be earlier very difficult and stressful. Similarly, sitting down from standing position has been simplified with a lift chair, as the titles seat can support easy seating by removing the potential danger of dropping down suddenly from a height, which is really painful for someone who suffers from back pain or related problems. Moreover, using this wonder chair one’s confidence level gets boosted to get in or out of their seat with relative speed and comfort. When you know that your chair is specifically designed to support you in your basic task, you will confidently find that standing and sitting becomes much easier and relaxing than before. As one advances in age, it is important that the level of physical activity we undertake will decrease substantially. Ageing muscles and stiffening joints can restrict moving around freely, and it is absolutely normal to feel tired after being out and about and you would want to spend time relaxing in a comfortable chair. However, the negative sides of remaining idle or seated for extended period of time can lead to several health problems. The common problem may arise from bad positioning is poor circulation and the effects of which can range from minor inconveniences to contributing to life-threatening medical conditions. Although solution to this serious issue is at hand only with the use of lift and recline chairs. Affordable Medical Equipment brings an exquisite range of lift chairs of various models and designs to meet every conditions. Via the handheld control, one can lift their legs easily to an elevated position and keep them relaxed until they need to get up. Moreover, the lift chairs can also be used as a home décor item since the make and feature of the chairs make them absolutely stunning. One may not even have realized the importance of using this chair. Previously, from posture difficultly one may had bad circulation following by all frustrating aches and pains. The sufferings no longer exist after the use of lift chairs and they have stopped complaining about any swelling in the leg and cramping of feet. Of course, it is worthwhile to mention that elevating your legs with the help of a lift chair is very comfortable, which is another good reason to add lift chair to your daily life and stay healthy. Again, there are several ways in which a superior quality of reclining chair can help to alleviate back pain. Some of these include special features and made of special materials with which the chairs are covered and the chair can be adjusted to the preferred position that you find most comfortable and pleasing. 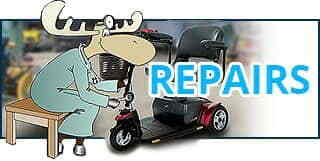 Thus, purchasing a lift chair could give you a level of relief from back pain that can make it an essential addition.